AIB completed a full reconstruction of this home in the Blue Mountains. 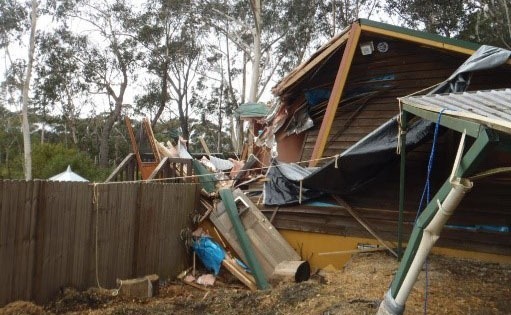 Damage from a tree fall was so severe that the entire premises needed complete demolition and reconstruction. As the owners needed to be in temporary accommodation work needed to be completed as quickly as possible, the owners who had suffered a great loss needed to be reinstated to a home which was restored to its original standard, with minimum trauma.